Fall is a glorious time around the Rocky Mountains of Colorado. You could say Estes Park, Colorado, grew up in the shadow of Rocky Mountain National Park. 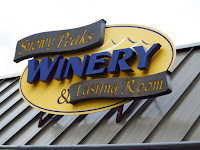 With four roads and two entrances leading visitors from Estes Park to Rocky Mountain National Park, it’s natural to assume that’s the reason most people find themselves in town. Yet, that’s just part of the picture. Surrounded on three sides by spectacular mountain scenery, the town embraces its location near RMNP while also evolving into a charming and friendly destination in its own right. 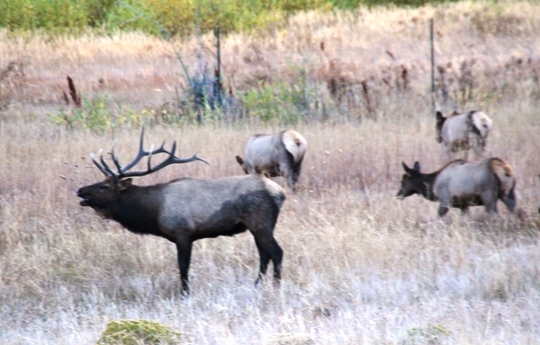 Bugling calls are frequent as elk roam the meadows during mating season. Larry and I visited Estes Park in late September, which we consider the perfect time: Trees are glowing with yellow and red leaves, summer crowds have dwindled, weather is cool in the morning and shirt-sleeve warm in the afternoon, and most outdoor activities not requiring snow are still available. We were there during elk mating season called the Elk Rut, when meadows are full of wildlife as tour companies lead excursions to see--and hear the bugling--from this fascinating event. As winter approaches, visitors seek activities related to snow. While Trail Ridge Road in the park is closed to through traffic, it’s still possible to access sections for outdoor activities. Snowshoeing is popular on numerous amazing trails; either go on your own or a guided tour. Hundreds of trails in RMNP provide beautiful landscapes for cross-country skiing, and Hidden Valley a well-known sledding spot. Not into snow? Go shopping: There are plenty of opportunities, with more than 300 shops in a walkable downtown. Whether you’re looking for antiques, collectibles, handcrafted southwestern arts and crafts, or just window shopping, you’ll enjoy the casual ambience of the Elkhorn and Moraine Avenue area. Even in the 1800s, Estes Park was known for its wildlife and breathtaking panoramas, and you can learn about wildlife and history of the region at several local museums. Whether you’re a foodie or prefer comfort food, there’s a wide range of places to dine in Estes Park. Some eateries specialize in regional cuisine like elk chops or pecan-encrusted trout, and don’t be surprised if your burger is made from elk or bison. Of course, it’s great paired with a locally brewed ale or liqueur. 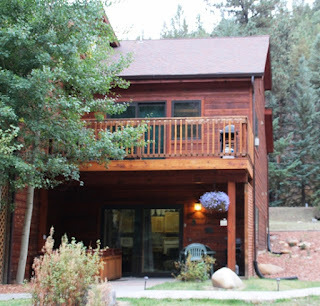 Notice the private hot tub on the patio of our Estes Park Condo. The Fall River is just behind the condo. 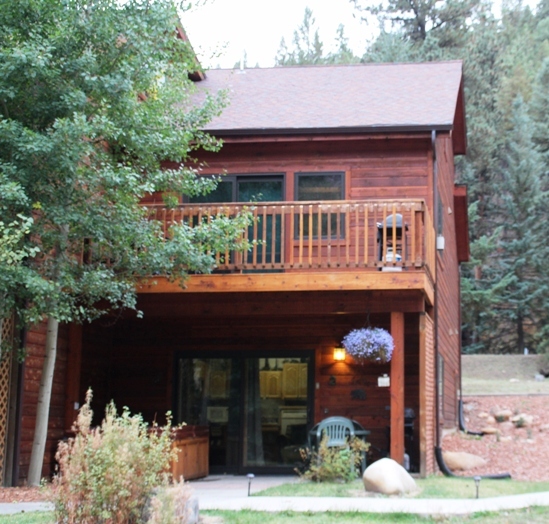 One of our favorite places to stay is Estes ParkCondos, comfortably rustic cabins on the banks of the Fall River. But take your choice from luxury suites, historic lodges, B and B’s, or RV spots, most open year-round. 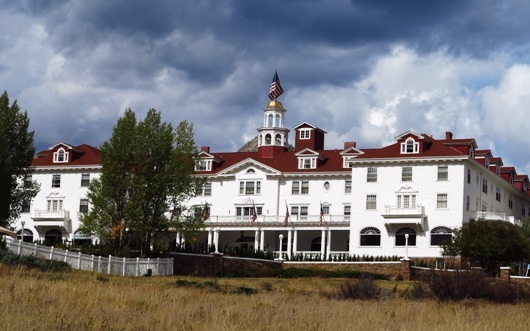 Take a ghost tour, dine, or stay at the historic Stanley Hotel in Estes Park. Estes Park is already planning for its centennial in 2017 with many special activities. 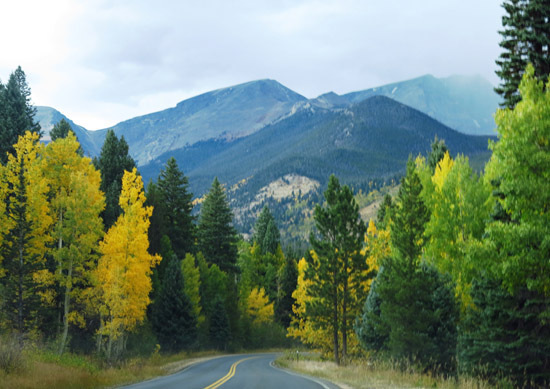 It’s a 90-minutes drive from Denver and easily accessible any time of the year by three stunning scenic routes. Gorgeous views inspire visitors in every season and in every direction, including snowcapped peaks of the Continental Divide on the horizon. 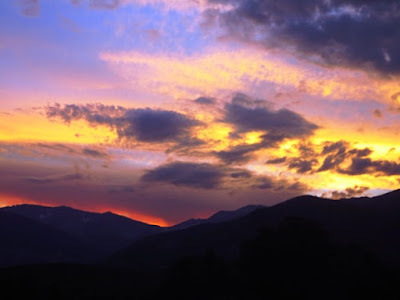 Let the majesty of the mountains around Estes Park invigorate you and fill your soul with nature’s wonder! Estes Park, Colorado and Rocky Mountain National Park. ahh! I love Estes Park! An amazing friend of mine lives out in Denver and we had traveled to Estes Park a few times! Absolutely beautiful. http://taketwentythree.com -- coming VERY soon! !